In late September, 401 BCE, the two huge armies engaged in The Battle of Cunaxa. The plain was dusty and had been baked hard by the sun most of the summer on the eastern bank of the River Euphrates, in what is now Iraq. Although the exact location of the encounter remains unknown, it was named after the nearby town Cunaxa (Waterfield, 2006). According to Xenophon, midday came and there was no sign of the enemy, but by early in the afternoon there was a cloud of dust that appeared. At first it looked like a white cloud in the sky, but it turned into a huge black smudge on the plain. As the enemy drew nearer they could see the flashing of sun upon their bronze armor. Before long the enemy drew closer and the tips of their long spears could be seen. The divisions of the enemy army could be clearly seen. On the left the cavalry under the direction of Tissaphernes; next to them were foot soldiers with wicker shields and long spears. There were also heavily armed troops that were rumored to be from Egypt. They had long wooden shields that reached down to their feet. There were also more cavalry units with arches. They also had scythe-bearing chariots which were designed to cut down anything in their path. The plan was to use the chariots to break up the line of Greek lines (Xenophon, 2009). Cyrus knew that his brother the king was approaching he had his men draw up in an army array. He placed the Greek mercenaries near the river and they were further supported on their right by some 1000 strong calvary. This was the traditional battle order of the day, so for the Greeks it was a place of order. Cyrus was in the center surrounded by 600 body guards to the left of the mercenaries. His Asiatic troops were on the left flank (Battle of cunaxa, 2012). Cyrus was riding past, looking in both directions he could see both his enemies and his friends on either side. Xenophon spotted him, road up to him and asked him if he had any instructions. It was at that point that Cyrus reined in his horse and told him to spread the word that the sacrifices and the omens were favorable. The three or four stades separated the two phalanxes when the Greeks struck up the paean and began to advance against the enemy. The broke into a run and cried out the war-cry to Enyalius. Some say they frightened the enemy horses by clashing the shafts of their spears on their shields. The enemy chariots that were abandoned hurled through the ranks of both enemy and Greeks but the Greeks made a path for them to go by (Xenophon, 2009). Cyrus, still surround by his 600 body guards waited to see what the king would do. 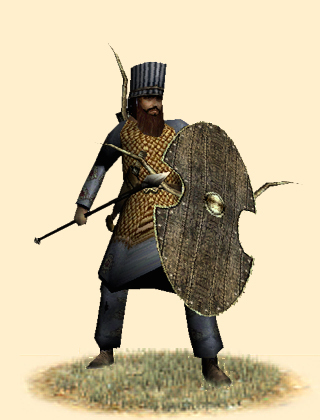 The king was also surrounding by his 6000 men, but he still found himself to the left of Cyrus, so he had his men change direction to try to out flank his opponents. It was at this point that Cyrus spotted him and hurled a javelin, striking him in the chest and injuring him. However, Cyrus was struck by that eye with a javelin, and fell to the ground. This is how Cyrus died (Xenophon, 2009).